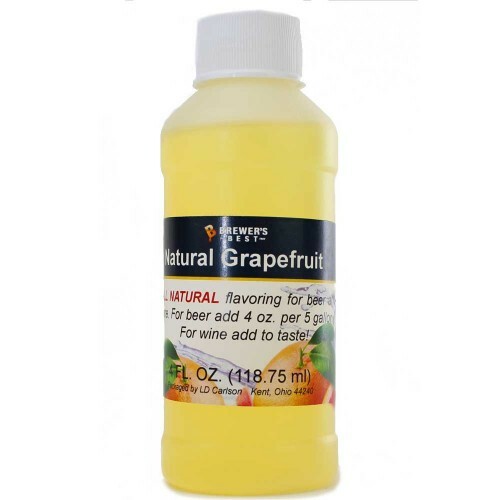 Grapefruit Flavoring Extract 4 oz. 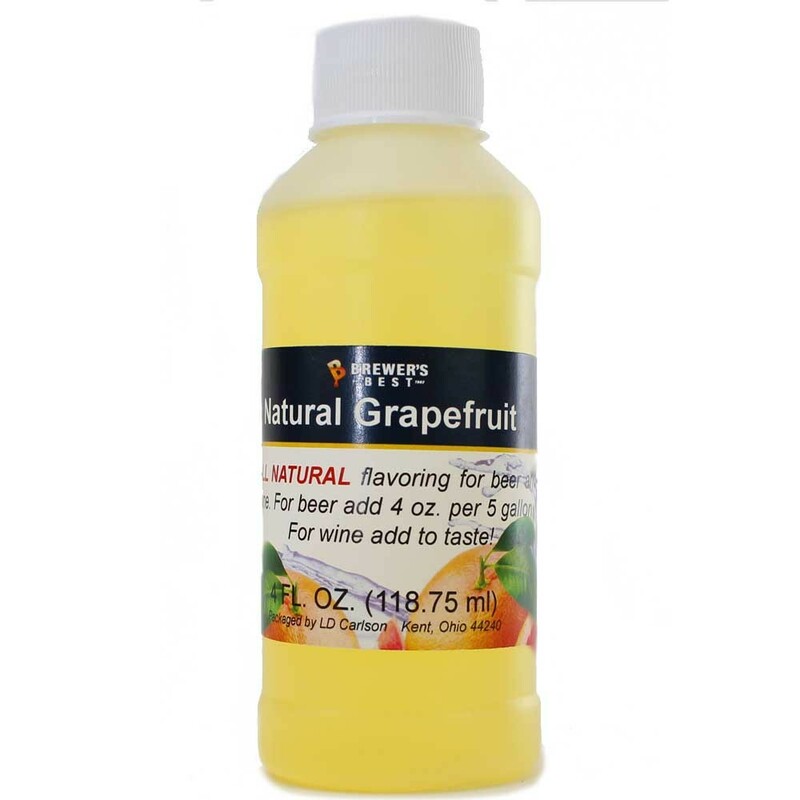 All Natural Grapefruit Flavoring provides excellent fruit flavor without sweetness. Fruit flavoring is an excellent way to add complexity to any beverage or food without the complications and inconsistencies of real fruit. Fruit is bulky and takes up lots of space in brewing vessels. Adding fruit can accelerate fermentation and make the process messy and difficult to control. Starches and proteins in fruit can contribute to haze and cloudiness. Fruit can contain active bacteria. And unfermentable material from fruit can undergo chemical changes in bottled beer, causing undesirable changes in flavor and body as the beverage ages. Methods and products are available to eliminate or ameliorate most of these issues, but substituting fruit flavoring for some or all of the fruit in a recipe is often the best solution.